This month we see a photograph of the High Street probably in the 1960’s. These cottages were located opposite the current post office. 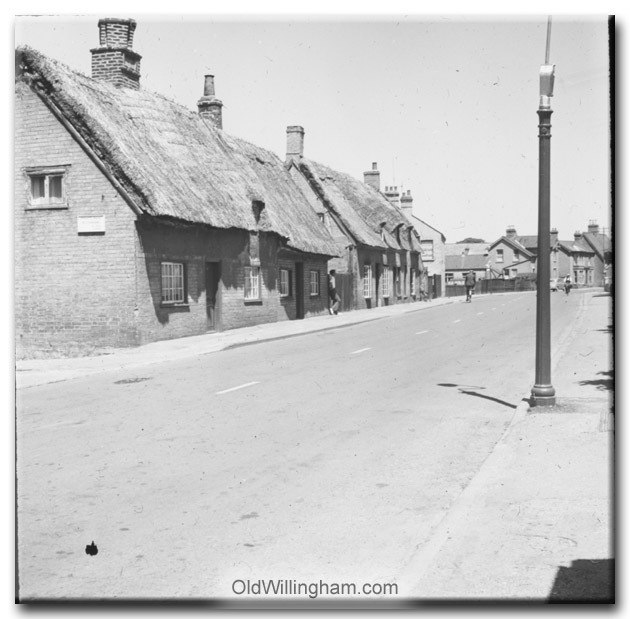 In the past there were many more thatched cottages in Willingham – leading to devastating fires on occasion. These cottages survived the fires but, sadly, they were all demolished at the same time in a clearance. It should be said that although the cottages look pretty, the living conditions were often quite basic and they would have needed very substantial modernisation meet today’s expectations.